Let’s be honest, if you’re a gaming fan there’s always going to be an excitement factor when an announcement of a new console is released – especially when that console has a must have game that you know you can’t play on any other console. When the Nintendo Switch was announced I didn’t really take much notice, especially after the failed attempt at the Nintendo Wii U went down the toilet. But for some reason the irresponsible devil on my shoulder told me to go and get myself one on release day after seeing all the hype about the console in the news. I have to hold my hands up and admit that I’m a gaming hypocrite, after I wrote this article back in March I had no intention of getting another Switch – peer pressure and propaganda took charge and I’ve now purchased another console. By no means am I saying I take back all of what follows this part of the article, but I admit maybe I was a little harsh, and I’m actually pretty chuffed now that I have a ‘working’ console. As far as honest Nintendo Switch reviews go, this article pretty much hits the sweet spot. It’s no secret as to the limited supply that was available on launch day unless you’d secured a pre-order, but fortunately for me I managed to get my hands on one of the last ones in the area. I picked it up during my lunch hour and brought it back to work for the exciting unboxing – oh and obviously picked up a copy of Zelda: Breath of The Wild. I left the console on charge for over an hour which brought the battery life to 100%, but after playing it for 30 minutes it just died. I charged it again, and retested, but had the same issue. The console was faulty and had to go back to the store. When I took the tablet and controllers out of the box, unwrapped them, and turned on the unit (after charging) I was actually surprised and frankly disappointed with how small the screen was. I probably shouldn’t compare to my Surface Pro tablet that has a 10-inch screen, but I had to benchmark somehow. 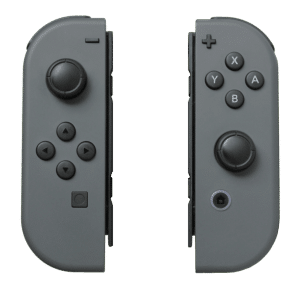 The same goes for the controllers, okay they clip to the sides of the Switch, but for me personally it felt a bit strange to hold. When using the controllers detached from the unit they felt flimsy and a bit too small for a comfortable gaming session. I also experienced the sync issues that have been highlighted over and over again. I realise you can use the included controller mounts so it feels like a proper solid gaming controller, or shell out more cash for the Pro controller of course, but it just wasn’t a hit for me. As an owner of a PS4, an Xbox One, and now venturing into PC gaming, I actually considered the fact that I was physically unlikely to fit in the time to play this games console. With the quality of other console games today, the Switch really doesn’t feel like a worthy contender. You had the Gameboy, Gameboy Colour, the Gameboy Sp, and the DS prior to the Wii models, all of which (except the Wii and Wii U) were portable handhelds. I understand the portability aspect of the Switch, but bearing in mind how much time people spend on their Smart Phones and Tablets today, is another handhold console going to be used or just another gadget to carry round? Considering this console rocked in at £279.99, I genuinely thought the design would have looked a bit more expensive and less plastic-like. The kick-stand as one example, felt so cheap that any real pressure might actually lead to the stand snapping off, I would have at least thought this would have been reinforced with some kind of metal stand/fixing. The dock was also made from plastic, and sliding the console into the dock didn’t feel entirely secure (although I realise the dock is to be attached to your TV). The only reason I can think of that Nintendo went for the plastic materials was due to the weight, which I guess I can understand, but it depreciates the quality aspect. 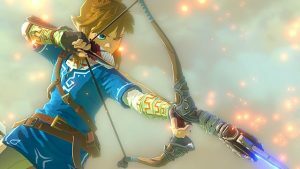 I cannot argue that Zelda looks gorgeous both on the tablet screen as well as being plugged into a larger TV, and although gameplay is likely to deliver a decent amount of hours to completion, my initial thought was what next? Third party developer games are great, but I’d want big A-list games to warrant keeping the device and not trading it in after a couple of weeks. Super Mario Odyssey as an example is not being released til the second half of the year, and Mario Kart isn’t enough to keep me on my toes. Bomberman and Sonic are great, but they don’t offer any real wow factor. Skyrim – don’t get me started… I completed this game back on the Xbox ages ago, why would I want to do it all over again with less exhilarating graphics? One of the biggest deterrents for me was the price of games, why the heck are Nintendo charging so much for their games? Amazon predominantly come out on top for me in terms of games prices, but even they are charging £50-£60 for main title games like Zelda. Maybe it’s the coating they put on their cartridges to stop kids swallowing them! For someone with plenty of life commitments, shelling out £280 feels like a substantial purchase. With this in mind, I was offered an exchange when I returned the faulty console to the store, but I ended up opting for a refund after taking into account all of the above. For those of you who love their Switch, everyone has their own opinion so I hope the enjoyment factor continues until the launch of Nintendo’s next big console. PS4 Cross-Play Is Now a Reality For Xbox One & Switch Players! At Last! Xbox Games With Gold August 2017 announced – a little disappointing?